I drove down to Santa Cruz the other day to meet with some folks and my first stop was with our friend, Greg Lamson, who owns and runs Galaxia Records. Thanks for the hospitality Greg and good to see you again. 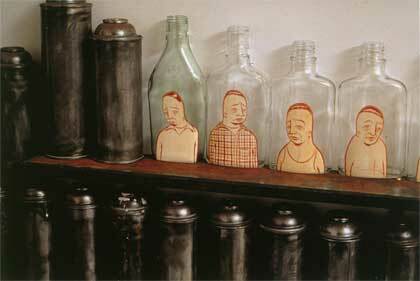 Barry McGee bottle piece on the left is rad.